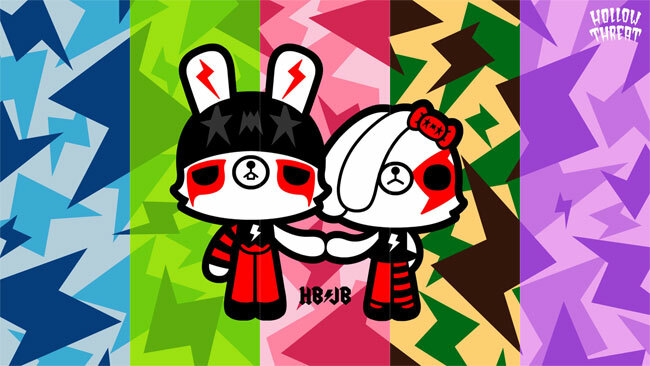 Goodies « Paul Shih – Toy Designer, Illustrator & Artist. – Download HBJB wallpapers in 720P resolution. – Download HBJB wallpapers in 1080P resolution. – Download Hollow Threat Paper Totem. – Download Wallpaper: 800 x 600, 1024 x 768, 1280 x 960, 1600 x 1200. First animation created by Paul Shih, A two mintues long animation based on ‘kaiju’ inspired character – Rainbow Monster. A silly little clip about “YOU ARE WHAT YOU EAT…” has won ‘Cartoon of the Month’ from Channel Frederator! Featuring music from Belgium’s talented electroacoustic musicians DimDim and Yoummie! check out their music here! – Watch low quality version online! Myspace | Youtube | Metacafe. 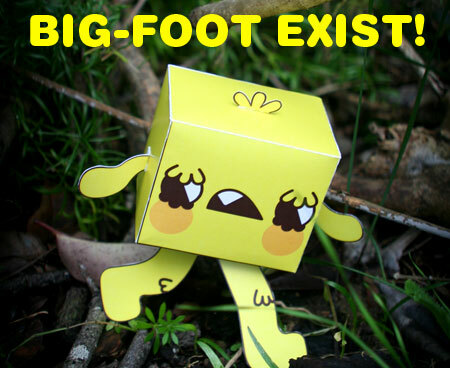 Bigfoot or Sasquatch is alleged to be an ape-like creature inhabiting remote forests… Alleged witnesses have described large eyes, big head, fluffy, and of course, big foot! Where can I find a BIG-FOOT? Right here! Click to download a BIG-FOOT, or you can go to some wilderness mountain to find one (good luck). Does BIG-FOOT really exist? See for yourself! Click Here! 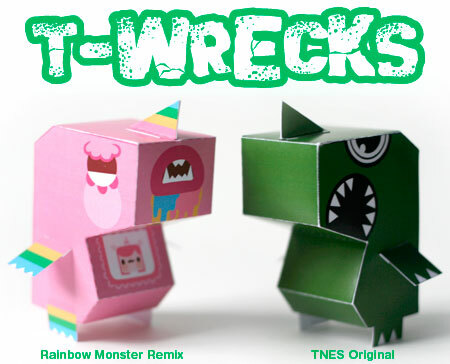 The creator of Kid Robot’s ‘Drunk Frog in Bear Suit’, also the mastermind behind ‘HIPPOE clothing‘ – tNes teamed up with Paul to bring you the T-Wrecks paper toy!